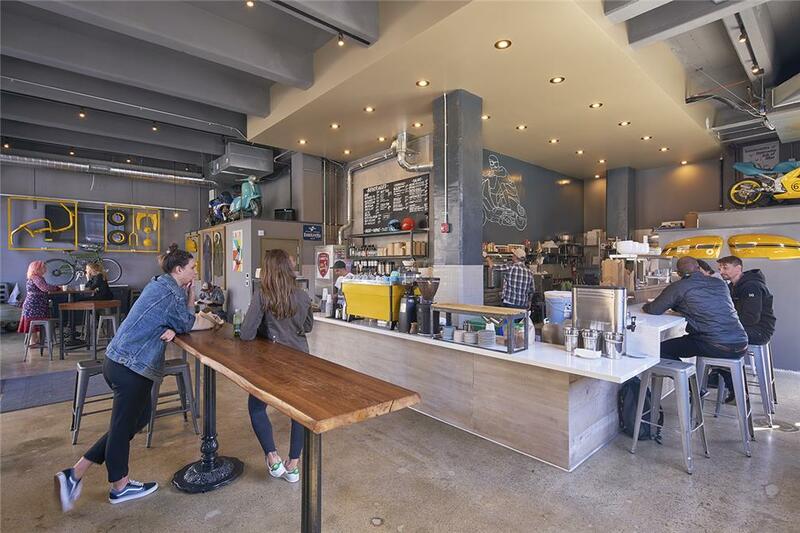 Once the home of motorcycle repair shops, Café Lambretta is part of a new chapter of life for this industrial warehouse building located in an area recognized as a historic district of San Francisco. One block from AT&T Park, 101 Townsend lies at the edge of two San Francisco neighborhoods, the SOMA (South of Market) and the city's Port district. Emerging from an area largely and historically associated with sailing, port and warehouse activity, the re-assignment of the land use designation from Production/Distribution/Repair (PDR) to Office use was the first of many steps in navigating this complex renovation project. 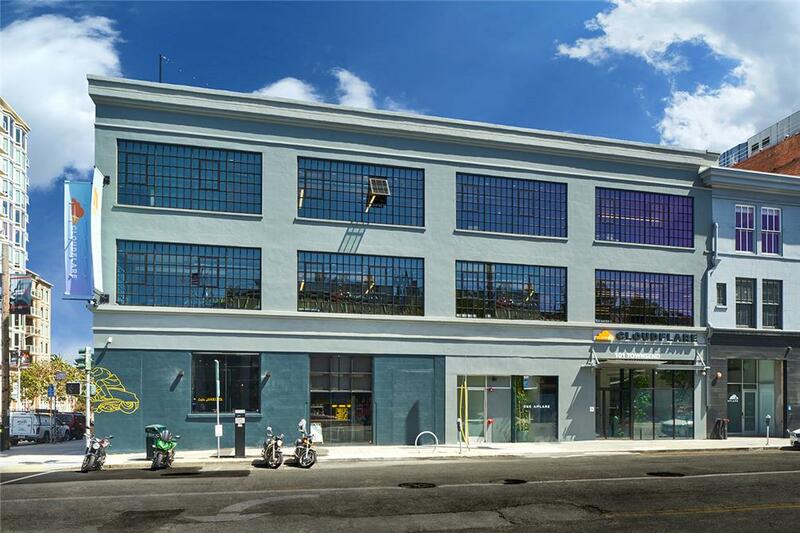 Due to its historic district location, the building required significant upgrades to meet current building codes including a seismic retrofit, full ADA compliance, system upgrades, and cosmetic renovations. 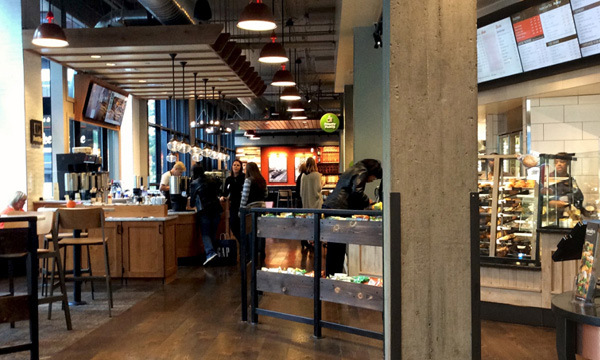 The basement was excavated and lowered an additional two feet in order to provide more leasable office space to this three-story warehouse, while a change of use authorization was also required to offer retail space to operate a neighborhood corner coffee shop. In keeping with the authentic warehouse character, the interiors of Café Lambretta took on a "raw-thentic" aesthetic with exposed mechanical and electrical systems, pipes and air ducts. 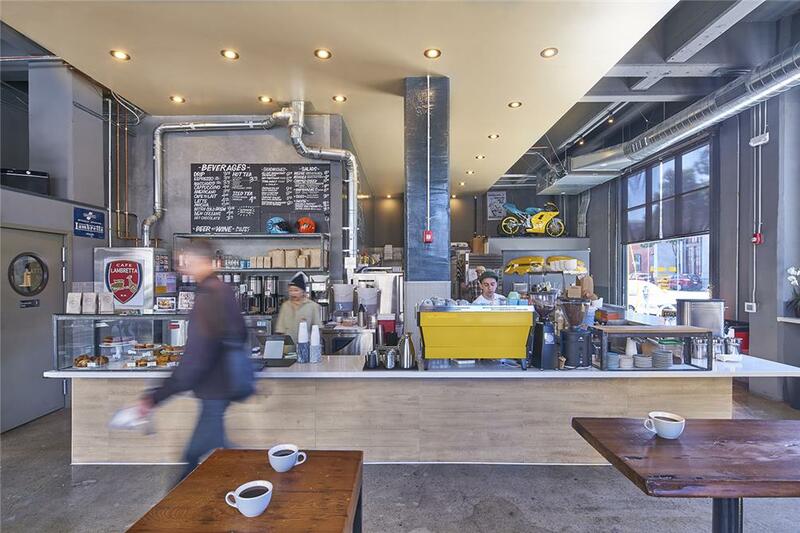 The owner’s coffee-forward and Italian scooter-inspired concept offers an environment entirely offline in preference of fostering community over co-working, with scooter parking located immediately in front of the shop. 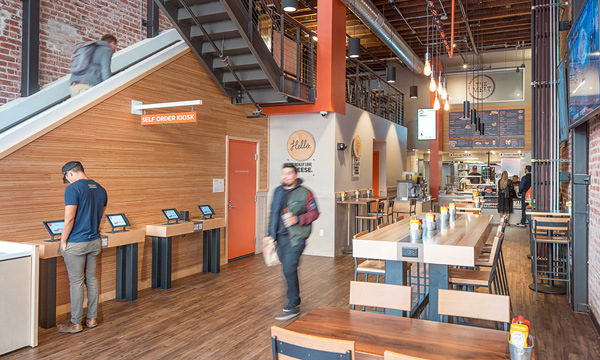 The 1,600-square-foot space also allows 90 percent of the company's baking operations to relocate on-site. The majority of the renovated building space is operated as the office headquarters to technology company Cloudfare.